With just five days to go before the Northern Hemisphere’s finest don their famous jerseys and head into battle, who will come out on top in this year’s battle to be crowned Kings of Europe? Will it be a historic third triumph in a row for the indomitable Welsh? Or will the runners-up of 2012 and 2013, England rise from their Cardiff capitulation and make it third time lucky? One thing is for certain its going to be one hell of a ride! What more is there to say? 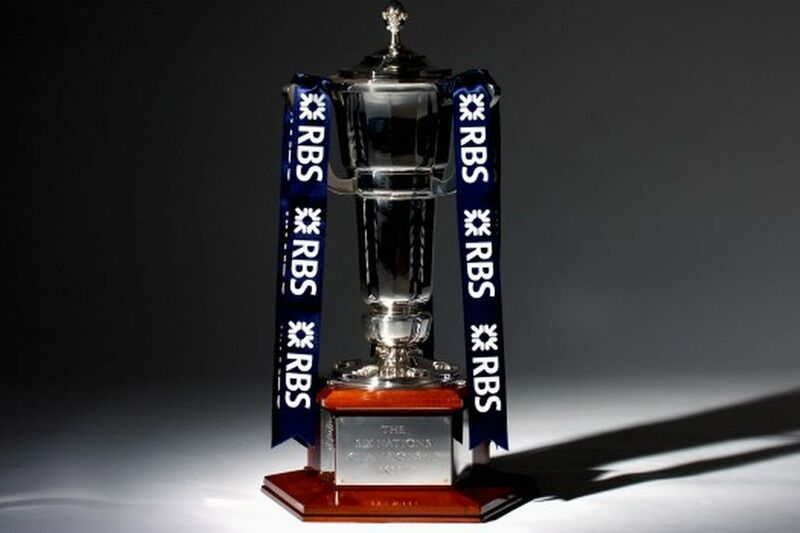 Champions the previous two years, with just one defeat in those two campaigns, can anyone stop this Welsh juggernaut from steamrolling their way to a third successive triumph and, in the process, become the greatest Six Nations team in the modern era? Well, as a proud Welshman I can say that expectations are high for this Welsh team. The fixture list has been somewhat kind to Gatland’s men with the added advantage of three home matches, yet the biggest tests will surely lie away from home at their Celtic rivals, Ireland and England. Off-field dramas have dominated in the build up to the tournament and have been used by some, as a reason why Wales will not win the championship. Have a day off? This Welsh team is too talented and professional to let rugby politics get in the way of another title, however worrying the prospects may be for the future. Much will depend once more on getting the ball out quickly to allow this powerful backline the chance to get over the gain-line. Gatland will look to Lions heroes Alun Wyn Jones and Warburton to provide a solid platform for the likes of North and Halfpenny to weave their magic, especially in the cauldrons of Dublin and London. Concern may arise over the absence of key players such as Jonathan Davies and Gethin Jenkins, especially given the inexperience of replacement loose-head Ryan Bevington at test level, however the absence of Davies may be felt a little less given the form of centre Scott Williams who continues to show his capabilities, and like Davies knows his way to the try-line. All-in-all handling expectations may yet be Gatland’s biggest challenges as Wales head into unfamiliar territory as championship favourites. Following the devastating conclusion, to what was a promising campaign, in Cardiff, Stuart Lancaster and his men have a point to prove and are determined to bounce back as champions. On paper, England’s record over the Lancaster years is pretty good with just two defeats from ten games during his two-campaign tenure. However, with both defeats coming against arch-rivals Wales and being pipped to the post by the same team two years running, has left many frustrated. With a home World Cup on the horizon, expectations are high among the Red Rose faithful and with good reason possibly. A devastatingly strong pack to rival any in world rugby along with an ever-maturing outside half in the shape of the nerveless Owen Farrell has provided many fans with cause for optimism. However, the back-line is an all together different matter with Lancaster’s pragmatic approach frustrating many fans. The conservative approach fostered by Lancaster has made the side hard to beat, but not the most exciting to watch. Proof of this lies with the continued selection of Chris Ashton, who burst onto the international scene with a flurry of tries but who looks to have forgotten his way to the try-line in recent times. The inclusion of young vibrant attackers such as Jack Nowell, George Ford and Luther Burrell may add some much-needed X factor to England’s attacking play and suggests Lancaster is willing to throw caution to the wind in search of that elusive crown. A team that can go from the sublime to the ridiculous from one game to the next, consistency may be the key for Joe Schmidt in his maiden Six Nations campaign. The autumn campaign provided proof of both Ireland’s erratic play (Australia) but also the potential within the ranks (New Zealand). THAT game versus the All Blacks may still bear psychological scars for those involved but it also showed that this Irish team are capable of beating anyone on their day, and that must be the message drummed in by Schmidt and his coaching staff. However this campaign may come slightly too early for this current crop of players. A team in transition coming off the back of a woeful campaign last season (which led to the removal of coach Declan Kidney), Ireland still rely too heavily on the old guard of O’Driscoll and O’Connell – legendary players but ageing ones at that – and seem to favour sticking with the experienced rather than blooding the promising youngsters. As a result many of the players forcing their way into this Irish team are untried and untested at this level. The absence of Lion Sean O’Brien through injury is a body blow to the team, as well as their style of play, putting more pressure on fellow Lion playmaker Jonny Sexton as, if he doesn’t perform unfortunately the team will follow. What can you say that hasn’t already been said? Plucky! Hard to beat! Physically strong! Same old, same old. As Scotland look to build on a very promising campaign from last season, the same old worlds are being said about the tartan army. Scott Johnson has worked hard to build a solid if unspectacular team who are capable of causing an upset. However that is just what Scotland are, an upset, a banana skin. The harsh reality is that there is no chance of Scotland competing for the title and with three away games this year, I fear the worst. Notoriously poor travellers, you have to go back four years to find their last victory on the road in this tournament, and with tough home games against France and England, there is a high possibility that this team will gain the unwanted honour of the wooden spoon. To avoid this players such as Lions Richie Gray, Stuart Hogg and Sean Maitland as well as scrum-half Greig Laidlaw (very unfortuanate to miss out on the Lions tour himself) will have to step up and deliver but the writing may be on the wall before kick-off. How do you solve a problem like Les Bleus? When Phillipe Saint-Andre took over this maverick bunch at the start of 2012 much was expected along the Riviera. What has followed has been much less spectacular. Five defeats, three wins and two draws (both against the same team – Ireland) paints a very bleak picture and although history is with them(France have won every six nations directly following a Lions tour since the professional era began) I see little chance of this being their year. However, write France off at your peril and the French will be as determined as ever to show their undoubted class. This can be seen in the selection of exciting young prospects such as Gael Fickou, Jean-Marcellin Buttin and Brice Dulin in a back-line already including world-class players such as Wesley Fofana, which on their day can cause the best of teams serious problems. However the loss of inspirational leader Thierry Dusautoir may prove fatal in their chances of regaining the title they last held four years ago. Led by talismanic skipper Sergio Parisse, Italy are not the mugs they once were in this competition and have shown so in recent years. Recent first-time victories over both France and Ireland, mean that England alone stand as the only team still undefeated against the Azzuri – and with a home game against the English to come this year- that could all change. Sceptics will point to an over-reliance on ageing players such as the Bergamasco brothers, Castrogiovanni and Bortalami, but that in itself is giving total disregard to the job that the Italian Rugby Union and the national team’s coaching staff have done to make this team competitive. Looking ahead three away games looks ominous for this team, however a home game against Scotland looks very winnable for this ever-improving nation.